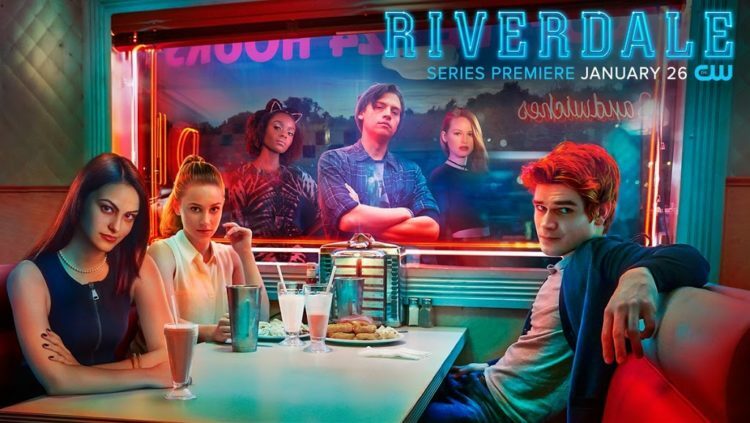 The first season of Riverdale has just come to an end. It was impressive three months. This is quite another of my favorites which many reviews just threw in the garbage (especially after only the pilot). Well, I’m not really surprised. It’s a teenage drama by definition. The only thing that differs it is – it’s based on a comic. I got here by some sort of boredom and an accident, but I traveled this train till the end. I’m not at all ashamed of it. On the contrary, it was a great journey and I can’t wait for the next one. The main plot is an investigation of Jason Blossom’s death. It was the magical fourth of July day when the tragedy happened. And that event changed everything in the small town called Riverdale. The boy fell into the Sweetwater River and drowned. But did he? It was quite simple to create the mystery and just roll the story around it. And however cheesy it seems, I really enjoyed that swirl. The story isn’t just about one deal and sticks to it completely. It was good to watch because of connections to other problems, too. Especially family issues were highlighted and there were literally layers of it. Each character had these family problems that deal with in some way. So we have a dad in prison, overprotective and perfectionist mum, separated families, drinking dad, famous dad, hateful parents and so on. Every main had very developed background. This was the best piece of the series, in my opinion. The plot doesn’t really vary from any other teen dramas. It is definitely not for everybody. There’s a school, the classic problems among its corridors. There’s a bit of romance and love peeking from around the corner. It’s a light show to watch without thinking – unless you expect to develop some major theory. There were plenty of them throughout the season. We still have parents with their own problems, that connect eventually with their children. They did, however, try to do is destroy the stereotypes. But they did it very… stereotypically. So here we have a gay, a Mexican, an African American, a rich girl before and after the revelation, the not-so-good girl. And there’re plenty of redheads for such a small town. And the famous Cole Sprouse did quite a performance, too. Jughead was out of the ordinary in many ways, but it gave him the biggest character development throughout the show. He might have been this “poor creature” everyone wants to comfort, but in this show, you want to do it for almost every character. What was good is – no one was entirely black or white. Okay, maybe Hiram Lodge but he didn’t really have a chance to talk for himself. I’m waiting to see him next season. Apart from him, everyone tries to be good and sometimes because of it, they turn somewhat bad. Sure, the grey levels vary but everyone has some. Even perfect Betty Cooper isn’t as perfect as everyone believes. Fox approves. Music, on the other hand, was average. There were tons of pieces from today’s small hits that I’m completely not into. In other words – classic teen series music. It was used well but nothing especially impressive. I liked the mysterious theme, though, and that they actually created their own songs for the show, too. But there were some errors. I think the worst one was when one team was the discrepancy in one episode. When the team was dead serious about the investigation, discovering shocking facts and then there was Archie with his drama “I am not a good singer, oh no, I can’t sing alone on the stage”. That pretty much killed me in some way. Also, there were a couple of threads which ended up just like that. They changed nothing in the story or in the characters. They basically moved on just like that. I wonder if they come back to them somehow in the future or it was supposed to be like that. Because if so – not a good move. It’s a complete waste of screen time. And everything else, too. I reckon everyone who watches shows knows CW ones more or less. They created The Vampire Diaries, Supernatural, The 100, all the DC’s: Arrow, Flash, Legends of Tomorrow, now also Supergirl and others which I’m not very familiar with*. Unfortunately, they don’t really care about the quality of their shows. Most of what I’ve been watching from them eventually went so bad, I just couldn’t continue. Although I loved the characters and I had huge sentiment to some, everything just was going worse and worse. And it’s never ended. I used to be this huge fan of Supernatural. Now? No idea anymore. I might have survived the worst season but honestly, it’s just a soap opera with ghosts now. I barely know what’s going on there. And that is what I am concerned about. Stating that Riverdale is a teen drama, makes it very easy to destroy the vibe. It will go just bigger and bigger, with new problems and shocking plot twist until it gets to the moment of revelation that it is idiotic and pointless series. And no one cares anymore. There is no point in hoping that it won’t happen. But that doesn’t mean I’ll stop watching it. I’m looking forward next season, because, damn, THAT CLIFFHANGER! And then… We’ll see what happens. *I’m excluding iZombie because I still love that show and I’m scared as hell for it. Previous Post: Guardians of the Galaxy Vol2: Can you save the galaxy twice?